This recipe is dedicated to all my friends from Brazil. I decided to devote the first recipe of the month to a Latin American country, to know much more about the culture and traditions of the country. As you know Brazil is famous for its beaches, beautiful women and carnivals which they feel very proud because it is a very important event in the country. Besides this they have a very delicious variety of meals, which cost me a little to pronounce, but thanks to my Brazilian friends I have known and tasted much more of this delicious culture. The exotic fruits are part of the appeal they have and coconut is one that is used constantly in the Brazilian food. It caught my attention, is that it does not contain gluten and are not made with flour, are made with cornstarch. This is the first time I make cookies of this type. They are very quick and easy to make, the texture is completely different from any cookie, you must be very careful not to brown too much or burn. It is important to include different styles of cuisines to our family, show our children that the world has great variety of ingredients and different dishes. And to start you can make these delicious cookies and so we tasted a bit of this exotic and beautiful country. In a large bowl cream butter with egg yolks and sugar, set aside. Combine the cornstarch with the grated coconut. Alternate adding the coconut milk and the cornstarch mixture in to the creamed mixture. Then add a pinch of salt and teaspoon coconut extract. Mix well until dough is formed soft but not sticky. Roll balls of dough and place them on a grease baking tray. Press with a fork to give them a simple decoration. Bake at 350 degrees F (175 degrees C) for 35 minutes or until cookies fell tight when you press them in the center. When ready, removed them from the oven and place on a rack, allow to cool completely. Store in an airtight container. This recipe makes 22 cookies. 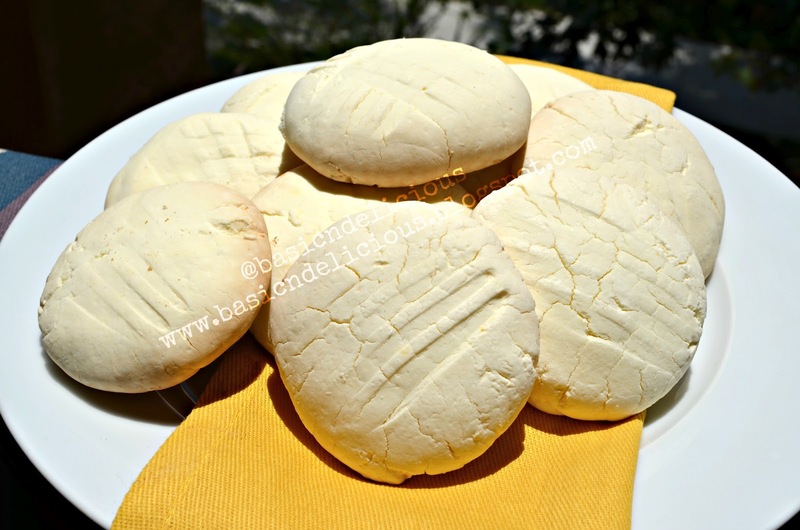 This entry was posted in Uncategorized and tagged brazilian, coconut, Cookies by Kathia Rodriguez. Bookmark the permalink.